Who or What Is Really Responsible for the Huge Forest Fires in California? Once again, faced with the failure of the “press” to educate us on an issue, we decided to go out and research the truth about what appears to be the significant increase in huge forest fires. Once we did the research, we found out major differences in facts from the random barkings in the MSM. Let us start with this simple aspect. Forest fires are a normal thing. Often caused by lightning or other natural causes, they are God’s way of clearing forests. In those natural forest clearances, the wildlife that exists in them are threatened or their habitat is destroyed. What has changed is mankind’s intervention in the natural process. The question is, what other factors may be causing the change in the intensity of recent forest fires? We also came armed with a thought. If you believe that global warming is making life more challenging for forest management, then you should support proper forest clearance. Otherwise we will be left with even more intense fires. For this column, other than reading everything available, we went to two sources: our national Forest Service and the Union of Concerned Scientists to get different perspectives. Speaking with Chris French, the Acting Deputy Chief of Forest Service (FS), we received a primer on what is really going on with forest fires today. When asked what he believes is the primary cause of the intense forest fires, Mr. French’s immediate response was “Forests are overstocked. There are more trees than 100 years ago.” He went on to say that part of the problem was the Forest Service’s good work in the recent past stopping forest fires. This meant, however, that their focus was largely directed away from forest maintenance, which caused the elements that fuel a fire like underbrush, dead trees or more density to occur. The changes French would like to see would be more active forest clearance and clearance of the underbrush. He also wants to do more controlled fires when the risks are minimized. If you are wondering why they are not doing that now it is because of budget restraints. What government department does not advocate for additional money in their budget? In this case, there may truly be rationale. Because of the good work the FS was doing, they were spending 85% of the budget on forest maintenance and 15% on fire suppression. Over the recent years as forest fires became more intense, they spent more money on suppression and less on clearance causing a vicious cycle of less money on clearance. At this point French stated that it was projected that 60% of their budget went toward suppression leaving fewer precious dollars for clearance. Recent Congressional budget bills have increased the Forest Service budget providing additional funding for clearance, thus hopefully stopping as many fires from happening and less money spent on suppression. While doing the clearance the Forest Service does, French stated they were controlled by a myriad of federal laws which limit their actions. These laws include The Clean Air Act, Natural Forest Management Act, Endangered Species Act and National Environmental Policy Act to name a few. The Forest Service must put information out to the public before they do their clearance work. They are not always questioned, but quite often interest groups jump in armed with legal briefs to stop the planned work. Currently there are groups trying to stop certain aspects of the Farm bill from being passed that would enhance the funding for forest clearance because they are against logging even though it is clear much of the land in question has three times the density that it should. Just a thought: If you have a concern about destroying the natural habitat and thus limit the proper clearance of the areas in question, what do you say about what happens to the improperly-cleared forest during a major fire when the habitat is destroyed and the animals’ lives are put at risk? This kind of fire has a catchy new name – urban interface fires. The Forest Service defines the wildland-urban interface as the place where "homes and wildlands meet or intermingle". As French described, it's where "humans and their development meet or intermix with wildland fuel". These used to be called fire areas. I live in one and we have to do special clearance each year to make sure that if a fire starts there will be little fuel to feed the fire. Where I live has built up for seventy years. This new situation describes the recent fires in California where people reached further in to these areas to homestead. What is the government’s responsibility in these cases? Few would restrict people’s rights to build homes on private property. Fewer would suggest the authorities should not protect those people from danger if there is a fire, mud slide or their home is washed out in a flood. Many will question whether the government should have any financial risk to help the survivors rebuild in the areas in question. Others would say that just encourages questionable behavior. While we can all feel sadness for those who have lost their homes in the fires, many have built homes in areas that are inherently dangerous to be “away from the hubbub.” Their choice; their risk. To build a home near a forest and not accept the uncertainty of fire verges on insanity. When dealing with an environmental group today, one anticipates that a focal point will be global warming/climate change. In fact, the article I pulled from the Union of Concerned Scientists (UCS) website is titled "Is Global Warming Fueling Increases Fire Risks?" The column is a mix of warnings about how global warming is increasing wildfires and encouragement to do more forest clearance. I spoke with Rachel Cleetus, lead economist and policy director with the climate and energy program for the UCS. Ms. Cleetus painted a somewhat different picture. She also forwarded a 64-page report she personally authored for the UCS on the matter. She was very aware of the many factors that are involved and echoed many of the same themes that the FS had stated, including the need for a greater budget especially with the extra monies being spent on forest clearance. Cleetus was unclear whether the organization just supported the procedures that the FS argued for or advocated for them. She stated that they were not involved in stopping the FS from doing their work like some other interests often do. But she did state the primary reasons for the increased risk of major fires was because of more people living in the areas and the forest management (or lack thereof) being done. Whether you believe in global warming/climate change or not, it is quite clear that the forest service needs to get a handle on proper forest management to lessen the risks of major forest fires. The only way they can do that right now is to throw more resources at the problem to stop the downward spiral of clearance necessary to halt/minimize the risk of major fires. Certainly, the federal/state governments need to make clear that they will not assume any liability for financial loss if anyone lives is in a fire zone. Citizens need to evaluate whether the joy of being in these areas is worth the exposure to their belongings and possibly their lives. One thing we know for sure is that the wild charges made by some that this is all due to change in environmental factors is wrong. Though the UCS is vested in the issue of climate change, they support that there are other factors as proposed by the FS. Climate change/global warming is not the answer to everything on our planet. 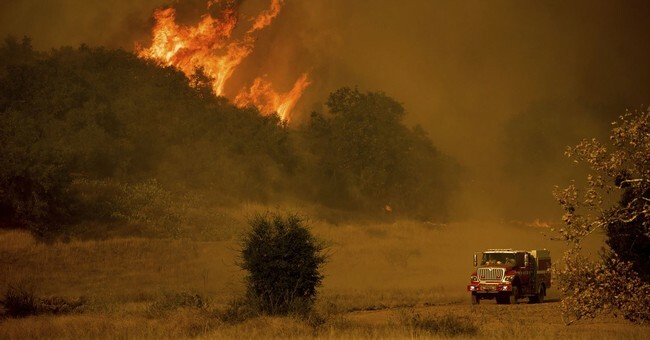 Footnote: We would be remiss if we did not thank the brave people who fight these wildfires for all of us. God bless them.